The Hotel Gänsleit is a very popular, informal hotel that has many repeat guests. The friendly owners Steve, Rosi and their family will make sure your stay is a memorable one. 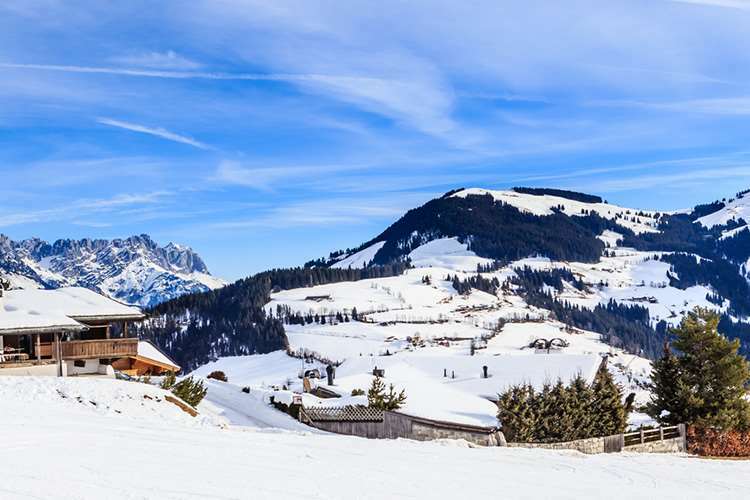 Steve takes his guests skiing, ensuring that you enjoy the highlights of the Söll and Ski Welt area. The hotel consists of two buildings and has a reputation for good food. Under normal conditions, it is possible to ski right back to the door of the hotel at the end of the day. Austrian twin rooms have private facilities, hairdryer, safe and cable TV. Some rooms can take a third and fourth bed (only suitable for children). Larger rooms with a terrace or balcony, available at a supplement. This was a really nice hotel. Rooms were nice and the food was good. We didn’t arrive till quite late so missed dinner but they went out of their way to make sure we had a hot meal. Steve (the owner) was a fantastic host, he even loaned me a support when I hurt my knee. He took some of our party skiing which they thoroughly enjoyed. A good time was had by all; I can honestly recommend this hotel.